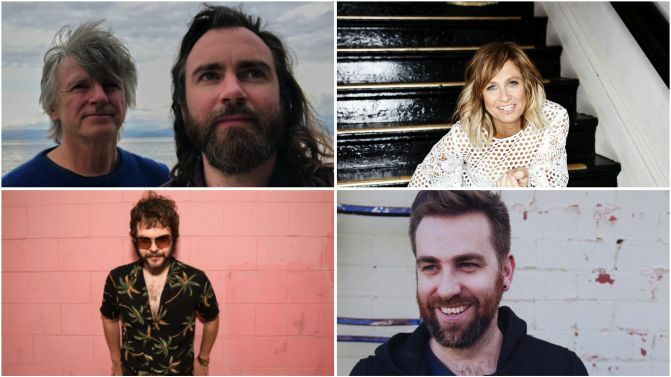 Victoria’s annual Riverboats Music Festival has unveiled its full artist lineup for 2018, topped by the likes of Neil and Liam Finn, Kasey Chambers and Josh Pyke. Returning to a natural amphitheatre near the Murray River in February — the twin-towns of Echuca-Moama, more specifically — Riverboats will also host performances from Henry Wagons & The Only Children, The Black Sorrows with Vika & Linda Bull, The Teskey Brothers, Gawurra, Moju Juju and more. View the full lineup, below. “Riverboats 2018 will present arguably the Festival’s most eclectic and exciting lineup to date,” says Festival Director David Frazer. Next year’s all-ages Riverboats event will take place over three days, and will also feature gourmet food and wine, paddlesteamer cruises down the Murray River and the annual Festival Breakfast on Sunday, 18th February. The festival will also be MC’d by RocKwiz host Brian Nankervis. Catch all the lineup, date and ticket details for Riverboats Music Festival 2018, below.